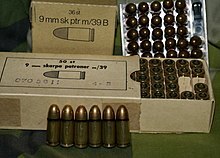 In 2014, the United States Federal Bureau of Investigation (FBI) released a report detailing the potential combat effectiveness of the 9mm cartridge when compared to other calibers such as the .45 ACP and the .40 S&W cartridge that was specifically developed for use by the FBI. 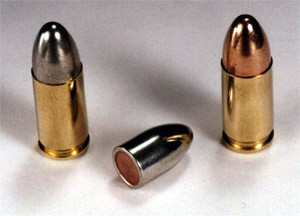 The report indicated that the new powders and more advanced bullet designs used in current 9mm defensive loads allowed for the caliber to deliver almost similar performance to other calibers, like the .45 ACP and .40 S&W. 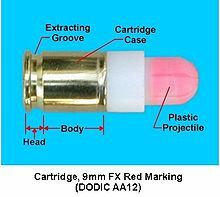 In addition to this, the lower recoil, less wear, cheaper ammunition and higher capacity were all reasons that the report cited for the recent surge in orders of the ammunition from various police agencies. 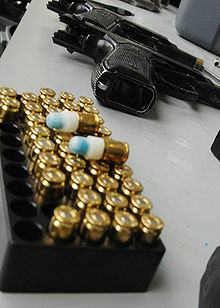 With a wider selection of officers being able to shoot handguns chambered in 9×19mm, many departments choose this caliber so they can standardize around a single firearm and loading, making logistics and supply easier. 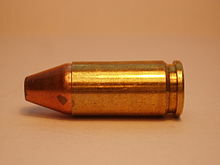 Due to all of these factors, law enforcement orders of 9mm ammo from all major ammunition manufacturers have spiked significantly. ^ a b Barnes, Frank (2006). Skinner, Stan (ed.). Cartridges of the World. 11th Edition. Cartridges of the World. Gun Digest Books. p. 295. ISBN 978-0-89689-297-2. 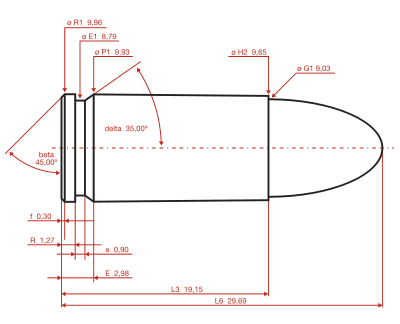 ^ "How the FBI reignited the pistol caliber war". Retrieved 14 September 2015.